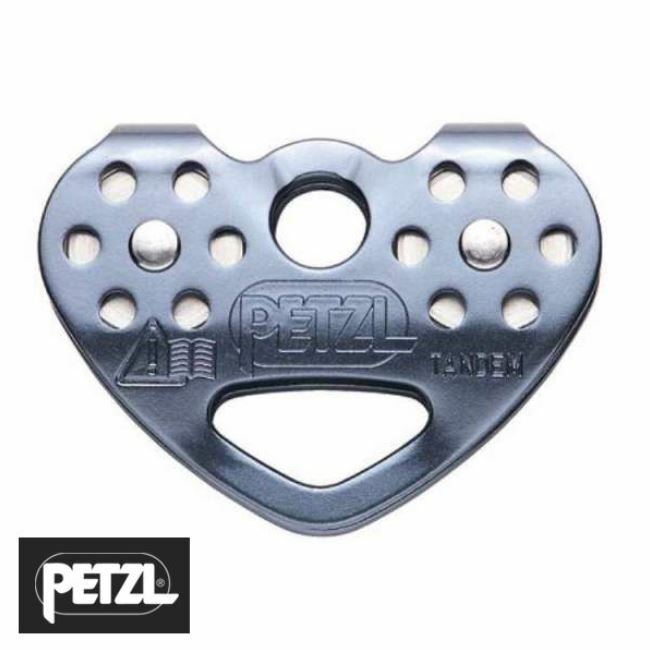 As part of our range of support to support range of zipwires, we have this great 10mm Bronze support to support zipwire kit with support bar brackets. 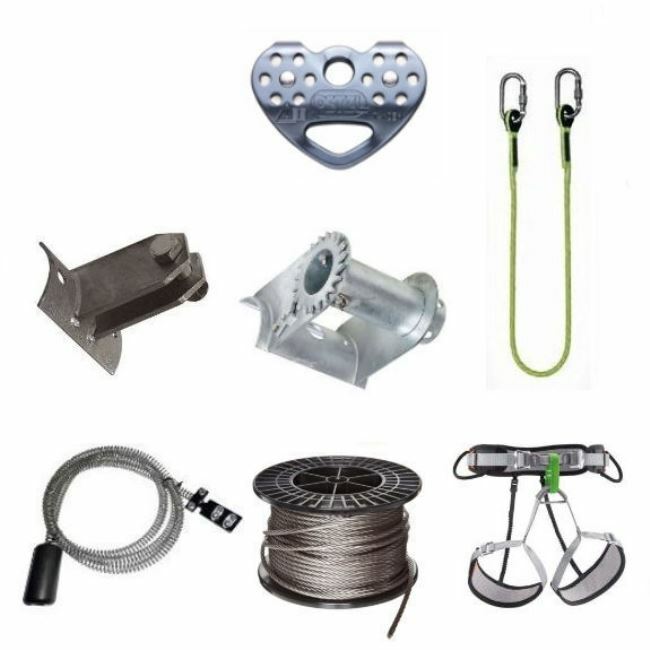 A great kit that will give the whole family a zipwire for the garden with a Petzl Speed Zipwire Trolley which everyone can enjoy and have hours of fun filled excitement. This zipwire kit also comes complete with 2x support bar brackets and the choice of either a seat harness or rubber seat. 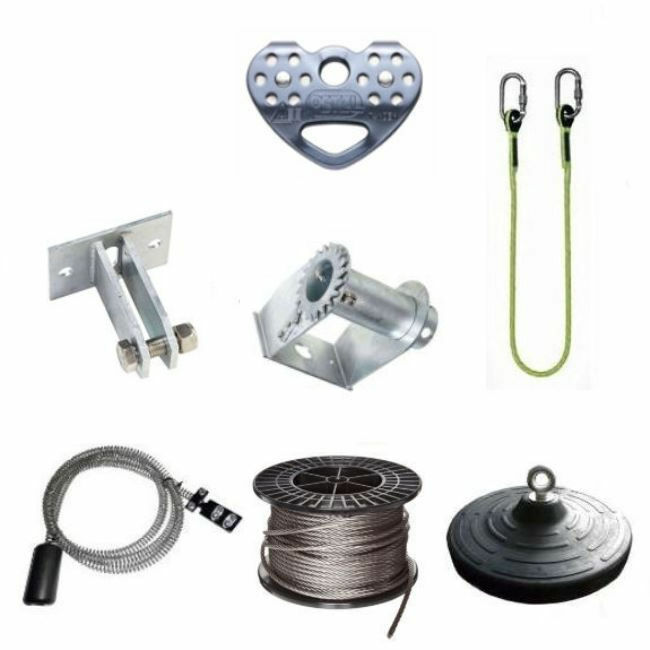 All our zipwire kits have been put together so that they are simply to install and are also available in various lengths. 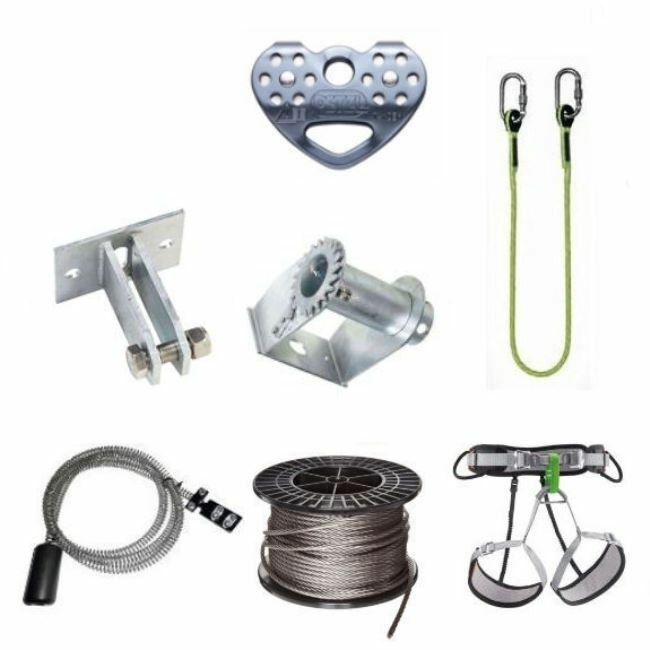 If you have already installed your support frames and by following the simple generic fitting instructions which come supplied with the kit, this zip line can be installed by two people and be ready for use in around 120 mins or less. 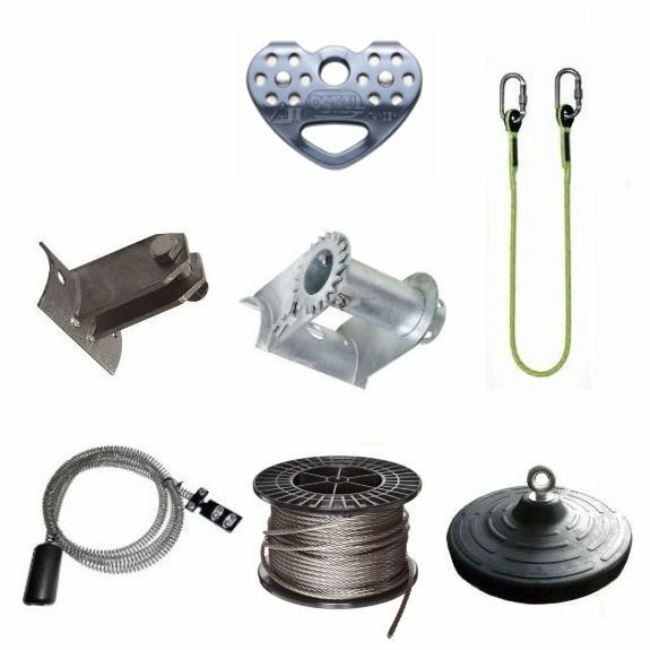 By using Top Quality equipment and combined with our passion and the knowledge we have of zip wires, you will not be disappointed with your purchase from The Zip Wire Company. Our zip wires have been brought together using only top quality equipment sourced from the UK and Mainland Europe and offer great value for money when compared to some products on the market being offered by our competitors. The Zip Wire Company understands that you might never of come across something like a zip wire before and that you might have many questions that you would like answered before you purchase one of our zip wire kits. Therefore we have put together a FAQ on zip wires which we hope will answer most of the questions you might have, but if after reading the FAQ you still have any questions, then please do not hesitate to give us a call on 01344 750788 where we will be more than happy to answer them. Please appreciate that while we at The Zip Wire Company are more than happy to help with advice and answer your questions, any advice or guidance given by The Zip Wire Company is for guidance only. Zip wires (also known as Aerial Runways, Flying Foxes or Tyrolean crossings) can be dangerous if installed incorrectly or on the wrong sort of site and it is therefore strongly advised that the customer, who is buying this equipment, should carry out their own Risk Assessment of the area/site to be used and must be happy that they are satisfied with this Risk Assessment. It is highly recommended that you carry out a safety inspection on completion of the installation of the zip wire equipment and that the equipment should be continually inspected on a regular basis. Due to the various construction & Installation methods used by our customers and which are outside of our control, The Zip Wire Company cannot be held responsible for any problems or injuries that may occur during the installation and subsequent use of any zip wires or zip wire equipment supplied by us if incorrectly fitted.